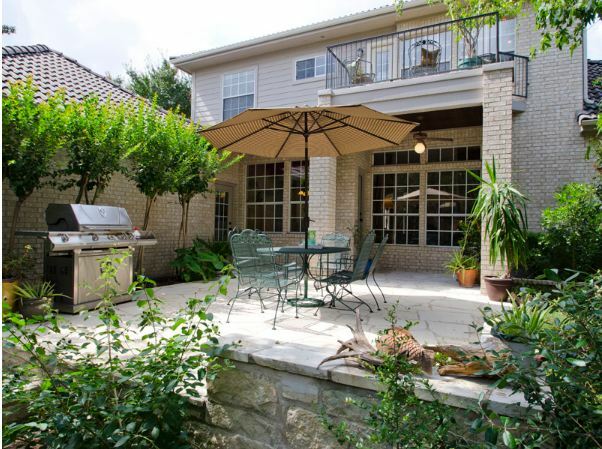 Patio Living has expanded to areas that allow your family to relax off the family room or master bedroom. 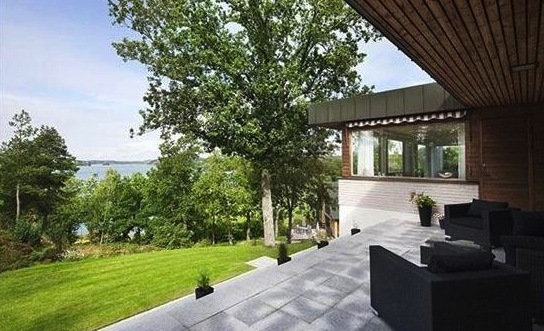 Modern furniture including club chairs and a couch with outdoor fabric make this lakeside view a great lounging area. A recent home staging project done by our Mill and Leaf team gives some excellent examples of a successful indoor-outdoor partnership for great home design. 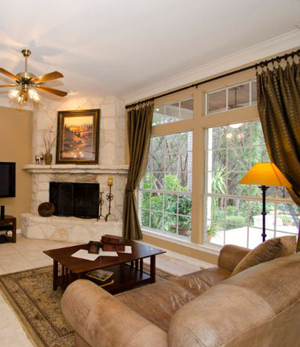 Placing furniture toward the center of the room allows the family room and outdoor patio to flow seamlessly together. During the staging process, all furniture was pulled away from windows. In the family room above, the sofa placed in front of the window was moved at a right angle to the window as a low divider between the family room and kitchen area. This photo shows how the outdoor patio then became an extension of the family room. Sticks cut from the back yard green space were placed in the moss filled mantel vase to echo the outdoor feel. The outdoor living continued on their patio. Seek out signature furniture pieces with a natural flair that can bring the feel of the outdoors inside. 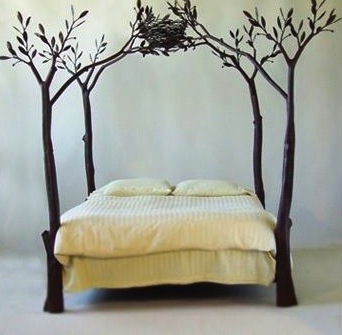 We particularly like this uplifting tree bed design and this Appalachian Side Table.